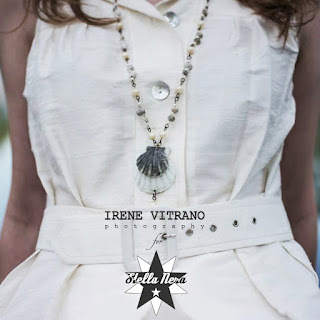 Stella Nera is an italian brand founded in 2012 by Monica Casalini, jewel designer and art creative. What you see here is 100% italian artisanship with a touch of alternative chic design. This is not a common brand: all the creations are made to be unique as the person who will wear them, so every jewel is only one made. All the materials are precious ones as gems, genuine Swarovski crystals, corals, meteorites, fossils, seashells, natural seastars, mother-of-pearls, Majorca pearls, Murano glasses, vintage pendants, antiques charms, genuine mexican milagros, original greek evileyes... and everything that makes a bijou special. To see all the current collections you can go and select the photo album here: Stella Nera. All the creations made with seashells, seastars, groundshells, etc. are cruelty free guaranteed. And for every "Mar Abisso" collection and "Naturae Mortis" piece sold, the 5% randomly goes to oceans clean projects and to animal rights associations. Not only: all the secondary materials as silk bags, boxes, earrings holders, papers, etc. are from recycling or eco-friendly sources. 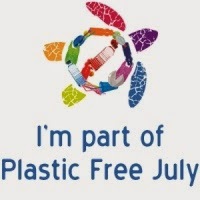 Since 2013 Stella Nera supports the Plastic Free July project and in 2016 has banned all the plastic materials for the storage and shipping needs. At least Stella Nera wants to go 100% green and zero waste before 2020. A L L E R G I E S ? Don't worry: all the Stella Nera supplies are nickel free for the 99%. The only pieces that cannot be nickel free guaranteed are the vintage pendants and the ones purchased in the local flea markets from around the world. But of course you can always ask me before you buy. My Etsy shop is now open! You can easily order via Etsy/StellaNeraShop. Of course not all my creations are yet on the shop so you can order the others by writing me via email or Facebook private message. All the prices are in euros, but I will be happy to help you by checking your valute conversion. World wide shipping costs are calculated based on the country in which you reside. I accept Paypal. To see my entire collections take a look here. If you want to order/commission or just ask a couple of questions write me here. For those who missed my last event in Singapore, you can still order your favourite jewels by looking at the facebook albums (here).